The phenomenon of going viral may seem particular to modern culture, but there is one iconic image that has been replicated for centuries. Leonardo da Vinci's painting "Mona Lisa," which many recognize as the most famous painting in the history of art, has inspired countless reinterpretations. It has been used to sell all manner of products and services. It has inspired artists, writers, poets, filmmakers and musicians. And every Halloween there is bound to be at least one Mona Lisa making the rounds. Still, with what might appear to be extreme overexposure, the image continues to fascinate and draw curiosity about its maker, its creation and the woman who gave the world that famous enigmatic smile. "It almost seems the more she is copied, the greater her mystique and popularity becomes," said Paul Larson, a Greenwich painter who is a member of the Stamford-based Loft Artists Association. Larson recently organized a new show with association members that encouraged participants to create new works based on personal reinterpretations of the painting. "Mona Lisa Smiles Again" will run until Sunday, Sept. 30. "I'm excited to see what kind of images the artists come up with," said Larson, who is working on a large painting himself. "I think it is going to be a colorful show and a very powerful show. I've encouraged people to be as bold and powerful and large as they could." Da Vinci is believed to have painted the portrait from 1503 to 1509, although some reports indicate he continued to work on it beyond 1509. The subject is assumed to be Lisa Gherardini, who was married to a successful merchant named Francesco del Giocondo. Mary Gallucci, an adjunct professor who has taught art history courses at the University of Connecticut and specializes in the Italian Renaissance, said da Vinci used revolutionary methods to create his masterpiece. "Leonardo is known for his experimental and scientific mind, and this extended to the effects he wanted to achieve in his paintings," she wrote in an email.
" 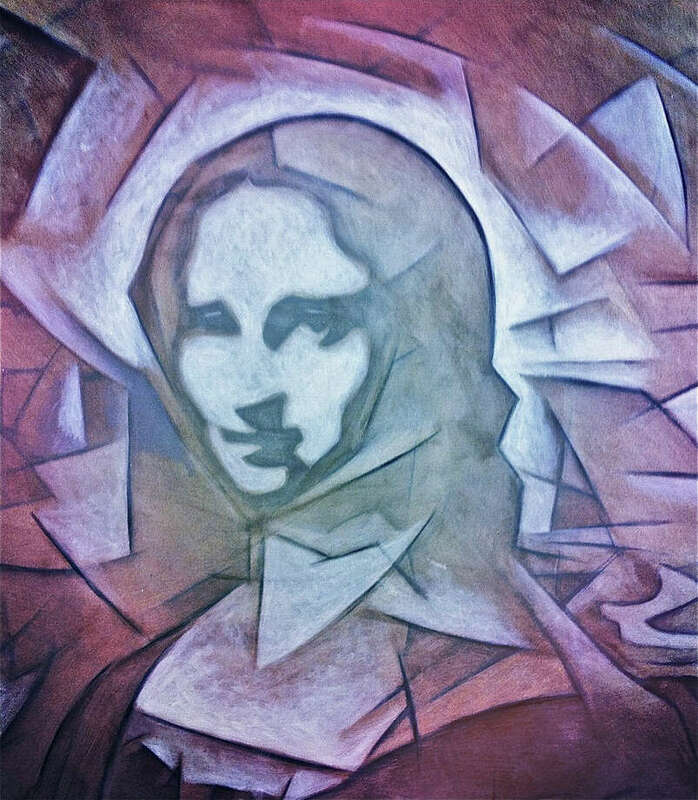 `The Mona Lisa,' then, exemplifies Leonardo's researches on paint techniques. The softness of her flesh tones, especially, gives her a real `presence.' This could only be achieved by developing the Flemish technique of using multiple layers of thin glazes -- the shadows contain the most layers, applied one at a time, with utmost control." Gallucci said recent technological advances have allowed scholars to analyze da Vinci's technique without destroying the work. It has been discovered that the artist's glazes were of "almost unbelievable delicacy and translucency," she noted, with his technique deemed "an amazing feat." When asked why the painting, and its subject, have maintained such an enduring fascination, Gallucci said the technique itself has created an image that appears to be living and breathing. "The naturalistic flesh tones, the softness of transition from (one) area to another, make it appear as if Mona Lisa is in the room with the viewer -- and the painting had this effect in Leonard's day," she said. It helps, too, that her attire is timeless, Gallucci added, devoid of jewelry or other accessories that might anchor her to one time period. Just what the artists in the upcoming Loft Artists show decide to do with cultural references remains to be seen, but one artist said viewers need not worry about repetition. "Our work is very individualistic," said Cici Artist of her fellow Loft Artists. Artists expected to exhibit, representing multiple media, include Artist, Elaine Best, Shirley Binin, Lynda Carroll, Susan Frey, Ellen Gordon, Catherine Horan, Renee Kahn, Clair Koch, Paul G. Larson, Mary Louis Long, Wendi Ohlson, Hernan Restrepo, Jody Silver, Liz Squillace and Margaret Tsirantonakis. "The viewer has an obvious reference," said Artist, who in addition to submitting a painting, hopes to create a video installation inspired by the show's works. "But the artists are creating works inspired by what they feel about her, as interpreted in their own styles. It's really fun." The Loft Artists Association gallery is at 845 Canal St., Stamford. Show runs to Sunday, Sept. 30. Free. Gallery hours: Fridays, Saturdays and Sundays, 12 to 5 p.m. Parking is adjacent to the building. 203-323-4153, www.loftartists.com.